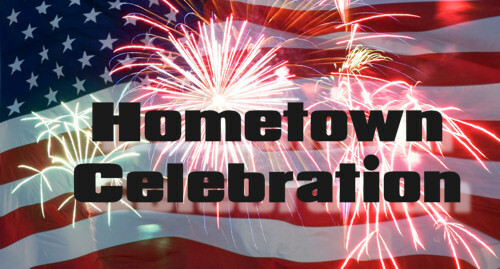 Harrah’s will be hosting an evening of fun, food and fireworks for the entire family. The event will feature music, Kid’s Zone, food, and drinks. En Fuego BBQ and Grill Team will also be on site provided unique varieties of BBQ specials. Drink stations will also be available with $1 sodas and water. The Kid’s Zone will feature obstacle courses, bounce houses and more. Cash is required for all purchases. To end the event, a large display of fireworks will be lighting up the sky at approximately 9 p.m. by Melrose Pyrotechnics. The fireworks display has been generously sponsored by Harrah’s Metropolis, Greater Metropolis Convention and Visitors Bureau and the City of Metropolis. A one-time $5 entry fee is required for anyone 2 years and older at the entrance. The money raised will be donated to the Harrah’s Metropolis School Supply Giveaway which will be held on Thursday, July 23 at the Metropolis Community Center. As an added bonus for the weekend, there will be another display of fireworks on Saturday, July 4 at Washington Park. This public display is hosted by the Farmer family in memory of the late Steven Farmer. This entry was posted in All the Buzz - Bee Informed and tagged Fireworks, Harrah's on June 16, 2015 by massacbeeswax.